Have you ever ordered pizza on Super Bowl night? You are talking about a 1-2 hour wait (not to mention paying delivery charges and a tip). This year for the Super Bowl, save on all the hassle and just stop and pick up a couple of DiGiorno pizzas. To help you think DiGiorno = Super Bowl food… they have set up a fun and interactive page so you can check out the different types of Pizzas offered, use one of their shopping lists to go shopping, and even print out a Quarter-by-Quarter trivia game. I think the trivia game sounds like a ton of fun to play with your friends and see who’s been paying attention to the game best. Want another reason to check out Walmart’s DiGiorno page? They’re offering a printable $1 off 2 DiGiorno Pizzas coupon, so be sure to look for the “Get Nestle Coupons!” tab at the top right of the page to snag your coupon. 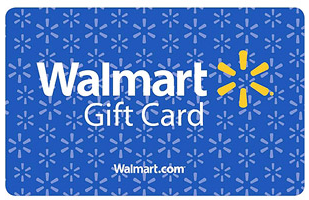 DiGiorno is giving away a $100 Walmart Gift Card to one Southern Savers reader! Which of the 4 pizzas from the Winning Line Up would you buy for your Game Day party? Cheese stuffed crust! Mmmmmm… Thanks! A couple of the pizza dipping strips for the kids and a couple rising crust pizzas for the adults!! I would get the supreme pizza. i would love to try the pizza dipping strips – what a fun finger food! Definitely the rising crust supreme pizza. I love all the veggies on it!! The pizza & cinnamon sticks looks good to me! Supreme regular rising crust pizza! Normal but favorite pizza! yummm… I’d have to get 4 cheese stffed pepperoni pizzas! We all love their pepperoni pizza, and 4 would be just enough to feed us all! The Pepperoni Pizza And Breadsticks! We LOVE it for a quick dinner with a little salad on sports nights! all of them look yummy, but I think the dipping strips would be a good thing to try! Thanks! I will be buying the “Rookie of the Year” (DiGiorno Pizza Dipping Strips) for our Super Bowl get together! Pizza dipping sticks look good. Pizza and wings, Pizza and breadsticks, Supreme Pizza and Cheese pizza!! The cheese stuffed pizza, we love this! Dipping strips look fun and yummy! Dipping Sticks are always a winner…especially with my three young ones! I would get rising crust supreme! Definitely the stuffed crust pizza! We eat DiGiorno all the time. It’s the only pizza we buy. A little tough to get it in the freezer of our side by side but we manage! I’d choose the pizza with cinnamon sticks – yum – dessert is easy then!! The cheese stuffed crust. Always a good choice with kids! pizza and cinnamon sticks…perfect combo! Pepperoni pizza & cinnamon sticks! Yum! DiGiorno is my mine & my husband’s favorite frozen pizza to have! We love the cheese stuffed crust! My Game Day party would like the Pizza Dipping Strips! We’ve tried the pizza with wings and Hubby loved it! But my fave was the cheese stuffed crust! Meat lovers is a family fave. Pizza dipping strips, sounds delicious! I would chooses the GO for Two! Pizza and cinnamon sticks sound great! Thanks. I love the pizza dipping strips!! I would go with the pizza and cinnamon strips! Regular pizza with Cinnamon Sticks! Pizza + Dessert! 3 meat dipping strips! Everything is better when you dip it! Yum! Pizza with Cinnamon Sticks! Ooh, I’d have to go with stuffed crust. The more cheese the better! I like the Rookies of the Year! Yum! I would choose the pizza and cinnamon sticks. My boys would think they were in heaven. It’s a hard choice, because they are all fabulous. But, if I just have to choose, I would take the cheese stuffed crust. Rising Crust would be my go to pizza for my Game Day party. My son loves the dipping strips, so one cheese and one pepperoni, please. The rest love the cheese stuffed crust, so two of those!! Pizza Dipping Strips sound great for my kids. I can’t make up my mind! Either the cinnamon sticks combo or the stuffed crust! Too bad the cinnamon sticks don’t come with the stuffed crust! We LOVE the stuffed crust pizzas!!! They are by far the best frozen pizza out there!! The pizza dipping strips are yummy. I can’t have pizza but my family loves it..Their al time favor one is cheese stuffed or the ones with the cookies. I WOULD LIKE TO BUY DIGIORNO CHEESE STUFFED CRUST PIZZA FOR MY GAME DAY PARTY. The pepperoni pizza with breadsticks! Cheese stuffed crust. Times 4! The cheese stuffed crust pizza for sure! For men, at a Superbowl party, I’d totally pick the dipping strips. Easy to eat and snack size! Love Digiorno pizzas!!! I love the rising crust supreme, but the pepperonie with the cinnamon sticks sound great!! I’d get the cheese-stuffed crust pepperoni! I love DiGourno- I’d pick the Pizza and cinnamon stick. yum! Cheese stuffed crust supreme, cheese stuffed crust pepperoni, pepperoni, cheese, meat…. any and ALL, we are having a BIG party and NEED PIZZA, and a $100 gift card would buy LOTS of DiGiorno!!! I would buy the Pizza Dipping Strips. Anything to get more sauce on my pizza. Just pepperoni and then one other for my daughter that would be a four cheese. I would go for the Pizza dipping sticks…. yum. We chose the pizza and cinnamon sticks. We like the stuffed crust. RISING CRUST PIZZA. AND MAKE IT A SUPREME!! LOVE THOSE!! We like the pizza with the cinnamon sticks! Hmm… maybe pizza and cinnamon bread. Pizza and cinnamon sticks! yum! We would try the rising crust supreme! I would get 2 pepporoni stuffed crust and 2 dipping pizza’s. Pizza with Cinnamon Sticks, YUMMY! The pepperoni dipping sticks sound yummy! I’d buy the cheese stuffed crust. Rookie of the Year for me!! Cheese stuffed crust sounds like a winner to me! cheese stuffed crust pepperoni, yummi! pizza dipping strips look good! Go for two! Gotta love some cinnamon sticks! The Pizza and Wingz are a favorite in my house! Pizza and cinnamon sticks. No contest. Gotta go with 1 each of the Dipping Strips and then a Pizza and Cinnamon stick pair. Yum! I would get the pizza with cinnamon sticks! The Pizza Dipping Strips look really good! cheese stuffed crust for me! Pizza dipping strips to try something new. Want to try the cheese dipping pizzas! Which would I choose? Stuffed crust, pizza with cinnamon sticks, dipping strips AND the rising crust pizza. There are a lot of mouths to feed in this house! I would get all four. Have a variety!! Even though I love all four of these, a lot of my guest may not, so therefore they would have a choice! Dipping Sticks sounds fun for party food! cheese stuffed crust sounds great! I like the stuffed crust digiorno, my daughter likes the small ones, cheese and pepperoni. I really like the 200 calorie portion pizzas, i’m eating a pepperoni 200 cal right now as my afternoon snack. Love, love, love them! The whole fam. likes cheese, pepperoni, supreme and the pizza with the wings!! Pizza and Cinnamon Sticks! YUMMMM!!! Pizza and cinnamon sticks! I love a little dessert after dinner! Cheesy stuffed crust would be a hit at my house! We would like to try the dipping sticks – have not tried these yet. Since when could you get the cinnamon rolls??? Sign me up for that please!!! I’d choose Cheese Stuffed Crust Pepperoni! I would go with the Pizza and cinnamon sticks! Dinner and dessert! yum! The more cheese the better the party!! I will be picking up the stuffed crust for sure! Pizza with Cinnamon Sticks is my choice. It’s the best of both worlds- A little savory and a little sweet! I would love to try the Pizza Dipping Sticks! I think my kids would love them. I love the supreme rising crust pizza! Original Rising Crust pizza is still the best store bought pizza out there. Thanks for making store bought pizza’s just as good as those expensive Pizza resturants. I’d go for two! Pizza and cinnamon sticks for me!! pizza dipping sticks for sure! PIzza dipping strips for me, please! It looks so yummy! I would love to try the Pizza Dipping Strips. supreme, pepperoni, cheese stuffed crust, and pizza and cookies are the 4 we’d buy. Rising Crust pizza is my favorite. I will buy two of them for our Super Bowl party. Thanks for making them. My husband and I like supreme and we get pepperoni and cookies for kids! Cheesy stuffed crust is what we want! Cheese stoffed crust!. THanks for the opportunity!!! Cheese stuffed crust by far! I love all Digiorno pizzas, but my family usually always goes for the Supreme Rising Crust and the Cheese Rising Crust! Gotta have the Supreme for the parents and cheese for the kiddos! Pizza & Cinnamon Rolls of course! its DiGiorno not delivery! Yummy! I would pick the Rookies of the Year (Pizza Dipping Strips)!! The classic Pepperoni Rising crust is my choice. We want the rising crust supreme pizza! Rising crust supreme! Thanks for the opportunity to win!! Love their rising crust pizza! My guys LOVE the Supreme. I need to bake two and they polish them off! Cheese stuffed crust is the best!!! I love them all but the supreme is the BEST! Self Rising Pepperoni is what I want!! The Pepperoni with the cinnamon sticks!!!! second runner up pizza dippers bc i have never even seen these, third rising crust supreme, then the stuffed crust cheese. I think im going to the store!! Pizza and cinnamon sticks seem like they would hit the spot! I would buy the Pizza and breadsticks option. YUM! Yum! The cinnimon sticks one sounds perfect because I am always needing something sweet after salty pepperoni! Cheese stuffed crust would be the one I would choose. I would love to try and will the Pizza GO FOR 2 with Cinnamon STICKS hmmm sounds so delicious and my kids would it all … and I got my coupon printed thanks so much and may the needest person win the 100.00 gift card :) ! i looked at all 4 but would not eat any of the 4 choices to be honest. I prefer cheese pizza ot a pizza w/o all the greazy meats on it. A spinach alfredo or mushroom, red onion, and ham would be great, or a pineapple and ham. Supreme rising crust for my granddaughter and I. There is none like it! Any plain cheese pizza would be great! they are all great, but i think we should try the pizza dipping sticks. looks perfect for game time munchies. The pizza dipping strips! Those look fun! Pepperoni pizza with cinnamon sticks! Must have something sweet after some delicious pizza! Purchased a 3 pack of DiGiorno pepperoni pizzas last Sunday. Always nice to have a quick, easy meal on hand for those days when I need a little help with dinner. Cheese stuffed crust. Yummy! Maybe we will have that for dinner! Rising Crust Supreme for me! I’m going to get the Pizza Dipping Strips for the Superbowl! Nice snack food for the game! We are a pepperoni family! Pizza and cinnamon sticks. That would please everyone in my house. I always buy the surpreme and before putting in oven add pineapple to it. It is great and so easy !! dipping stix are great for any party!! The classic Pepperoni Rising crust is my fave! Cheese Stuffed Crust is our favorite! I love all pizza and especially Digorno! Its my favorite! Pepperoni with cinnamon sticks. Yummy! We love the Pizza and Wingz , the cheese stuff crust and the self rising supreme and the Pizza Dipping Strips. Rising crust supreme! It’s better than delivery! Its DiGiorno!!! Definitely pepperoni and cinnamon sticks! give me the supreme rising crust——atl least there are a few vegetables in there! Cheese Stuff Crust all the way! I would get the pepperoni pizza with the cinnamon sticks. I’m going with the Pepperoni pizza with cinnamon sticks, the best of both worlds! Pizza Dipping Strips look like fun for a crowd! I would choose the pizza and cinnomon sticks. Go for two with the cinnamon sticks!! I would pick the pizza and cinnamon sticks. We love the pizza and cinnamon sticks and the pizza dipping sticks!! I’d definitely buy the Rising Crust Supreme but I think I’d also like to buy and try those pizza dipping strips. I bet all four of my children would love those! Pizza and breadsticks! My fave! Cheese all the way!!!!! The only way to this girls heart. Definitely, the Pizza & Cinnamon Sticks. I may have to buy some for tonight! Pizza Dipping Strips, for sure! I love supreme rising crust!!! Rising crust cheese. My kids favorite. pepperoni dipping sticks! Everyone can share and who doesn’t like food you can dip? Pepperoni and Cinnamon sticks for my teenage football fans here! I’d choose the rising crust supreme pizza. the pizza dipping strips look awesome! Yummy! All of them look so good, but I would choose the Pizza Dipping Sticks!! I will buy Pizza and Cinnamon Sticks. Pepperoni and Cinnamon Sticks! Mmmmm! I’d go with the Rising Crust because it’s probably the cheapest per ounce. All-Time Greats! Rising Crust Supreme Pizza! Yummy! It’s not often I get supereme since i’m the only one in the house who will eat it. Would love to try the dipping strips! Pizza and cinnamon sticks for me! RISING CRUST SUPREME = WHICH I ALREADY BUY AND LOVE! pizza & wyngz and cheese stuffed crust sounds gooood!!! Pizza dipping strips look yummy, haven’t tried them yet. I would get the Cheese Stuffed Crust for sure! :) It’s my favorite. Thank you for the opportunity to win & God bless! Pepperoni Dipping Sticks!!!! Love it!!! Pizza and cinnamon sticks. Yum! Pepperoni pizza and choc chip cookies – yummy! 2 pepperoni with cinnamon sticks and 2 pizza dipping strips. Garlic dipping sauce, YUM! OOO the cinnamon one is interesting! I think i would try that one! Supreme rising crust is my fave. Ummm PIZZA!!! Cheesy sounds yummy to me! Pizza and cinnamon sticks for my house ! Pizza and cinnamon sticks! Yummo! Pizza and Cinnamon Sticks. Yum!! We love the cheese stuffed crust pepperoni and the breadstick combo. The Dipping Strips for an easy food. CHEESE stuffed crust!!! Yummmmm Cheeeese!!! Stuffed crust all the way with an order of cinnamon strips on the side. I’ve always liked classic rising crust, but now I think I’ll try Cheese stuffed crust! Rising Crust Supreme Pizza’ll do the trick. We love cheese stuffed crust pizza but Pizza and cinnamon sticks looks yummy! I wouldn’t have it any other way but Digiorno Supreme for my game day party! Rising crust : Supreme pizza is SUPER YUMMY! My husband likes just cheese n pepperoni. So we buy both. Love em’. Thanks Jenny. I would pick supreme rising crust for me and pepperoni with cinnamon sticks for my kids. Win-win. Digiorno Supreme for the extra point!! In my family, you can NOT go wrong with this choice!!! I would go with the pizza and cinnamon sweets! Yummy pizza and then dessert too :) Who doesn’t want something sweet?!? For sure the stuffed crust & the dipping strips! Never tried these but I would love to buy them with this card! The pizza breadstick combo is my families favorite!! My family loves Digiorno Supreme!!!! I think i would like to try the dipping sticks. I have never tried them. Sound+s yummy!!! I love pizza, it is one of my favorite foods. With 6 people in the house, with different tastes, it will have to be a pepperoni stuffed crust pizza. I would like to try a cheese stuffed crust pepperoni, one of the 4 cheese dipping strips and I can’t never turn down anything with cinnamon in it, so throw in a pizza with a side of cinnamon sticks and for last I’ll try the rising crust supreme. I think my family will be happy with my choices and I’ll be just as stuffed as the cheese stuffed crust. Pizza and Cinnamon sticks would be my choice! 3 Meat Pizza, wish they made that one with Stuffed Cheese Crust! i’m going with the 3 meat and 4 cheese dipping strips! I think I would go with the Supreme! Definitely the pizza and cinnamon sticks! Though the stuffed crust looks great, too! Definitely the pizza and cinnamon sticks! Cheese stuffed crust!! My favorite. Cheese stuffed crust with the dipping sauce!! cheese Stuffed crust …. love it! Pizza dipping strips look good for a party! thanks! i would want the one with the cinnamon sticks. I would probably choose the pizza and cinnamon sticks. Cheese Stuffed Crust! Our family FAVORITE!!! All Time Greats: Supreme Pizza (Rising Crust!!! Cheese stuffed crust = yum-o! Pizza Dipping strips! Mouth is watering now! I like the pizza and breadsticks! They all sound so good! I guess the one with the cinnamon sticks. My hubby wouldn’t appreciate the stuffed crust one as much. Pizza Dipping Strips for sure! Go For Two!. Two for the price of one, that cant be beat. We would order the Pizza and cinnamon sticks! Let’s start with the Four Cheese Dipping Strips, and move on with a Cheese Stuffed Crust Pepperoni Pizza, a Rising Crust Supreme, and a Pizza with Cinnamon Sticks so we have a little something for desert. Definitely Cheese stuffed. Sounds delicious! pizza and the cinnamon sticks – the perfect balanced diet for fun and cinnamon to balance it out with its healthy effects. Cheese stuff pizza – yum!!!!!!!! We love them all, even my 2 year old triplets would enjoy. (probably the 4 cheese dipping strips)!! I love me some pizza, THANKS DIGIORNO!!!!! I say the cheese stuffed crust pepperoni pizza! Definitely Cheese Stuffed Crust…Love it! Cheese stuffed crust :) yum! Pizza and cinnamon sticks!!! Yes please! The Supreme Rising Crust Pizza all the way baby! Cheese Stuffed Crust Pepperoni would be a crowd pleaser! Pepperoni pizza and cookies! Best combo ever! Pizza & cinnamon sticks! Yum!! For our big family we would need one of each – but 2 of the cheese stuffed crust! and that should have everybody content. Maybe not with the score, but, definitely with the food. pepperoni pizza with cinnamon sticks! The Pizza Dipping Strips look yummy! I’d love to try those! pizza & cinnamon sticks yum!!!! I would pick the pepperoni dipping strips!!!! Our favorite DiGiorno Pizza is the Rising crust. We are a big game family. We could use the Walmart gift card. We would eat up the Pizza & Cinnamon sticks! with a family of 6 males and only 2 women we need lots of the cheese stuffed crust for the meal and cinnamon for desert. This will surely make game night so much funner and no waiting for delivery!!! DIGiorno will be deleiving for the BIG~Game day @ our house~It’s Rising crust is GREAT ! Cheese stuffed crust pizza! Please. Cheese stuffed crust! Something we have not mastered. Pizza dipping strips they are so fun to eat! Cannot beat Cheese Stuffed Crust, better than the local delivery!! We love the rising crust cheese pizza. Its my daughters favorite. I’ll take the “rising crust” for $1,000 Alex. Definitely the pizza dipping strips! yum! The dipping strips look great! Go for two! Some dessert after pizza would be awesome!!!!!! We love the stuffed crust or the rising crust but with lots of meat. The younger ones want pepperoni only. Cheese Stuffed Crust would be our favorite. How about thin AND rising crust supreme??? I think the pizza dipping strips are awesome. Great finger food for the game! pizza and cinnamon sticks! YUM YUM!!! I love them all! But…stuffed crust with extra sauce on the side. The all -time greats – original rising crust! Digiorno Supreme Pizza is amazing, truly better than delivery! I would buy the dipping strips! That’d be a winner! I would like the pizza and cinnamon sticks combo! Three Meat Pizza Dipping Strips! The pizza dipping sticks look delicious! Totally would love the pizza and cinnamon sticks right now!!! The dipping strips are delicious! Mmmm . . . I would love to have the Stuffed Crust one . . . I can smell the cheese now . . . please pass me a second slice . . . oh, yeah . . . forgot about the game. haha. supreme pizza rising crust is great! Pepperoni Pizza Cinnamon Sticks! – Heck ya sounds delicious! Pizza and cinnamon sticks!! Yummy! The Stuffed Crust one! Sounds delicious! Rising crust supreme for me. I’d buy the cheese stuffed crust! Pizza and cinnamon sticks definitely! Digiorno Pepperoni Pizza and Cinnamon Sticks! We always get the rising crust supreme because hubby likes it… But for the game I think I’ll try the pizza and bread sticks and the pizza dipping strips! They seem like a fun change and good for a big crowd! Pepperoni pizza n cinna stix!!! Stuffed Crust for me !!!! I would love to try the Pizza with Cinnamon Sticks! Dinner & Dessert! I mean rising crust=) Opps! Ohhh stuffed crust is my winner!!!!!!!! Definitely the rising crust! So good! I would love meat lovers! Ooh, it’s a toss up between the dipping strips and the stuffed crust. Maybe one of each! I always buy the rising crust, I have not seen the dipping pizza sticks but they would be my pick for the big game. the rising crust – all time great!! I like the supreme stuffed crust. Stuffed crust looks so good and I’ve never tried these. Yummy! I would go for the Pizza and Cinnamon because I have never had it and it seems like it would go well w/football?!?! Pizza and Cinnamon Sticks all the waaaay!!! pizza and cinnamon sticks, my little girl loves them!!! The dipping sticks… Have not tried them, Looks Yummy and Easy for little ones! Rising crust supreme pizza is always the one our family loves! Cheese Stuffed Crust! Love it! The dipping sticks for sure ! I would love to have the pizza and cinnamon sticks. Dinner and dessert. I will have to go with Pizza and Cinnamon Sticks. Get the meal and dessert all at the same time. Good Luck to all. The pizza and cinnamon sticks! The cheese stuffed crust is loved by all at our house! Pizza and bread sticks are a favorite at my house! I’d buy that one for Game Day. the pizza and the cinnamon sticks…yummy! I would want the pizza dipping strips. They look so good! Pizza and breadsticks… It’s a classic!! Pizza and breadsticks for us! Our fav! The Rising Crust Supreme pizza is a favorite here and that’s what I plan to serve on Game Day. Pizza & Cinnamon Sticks….they go great together! The kids would love the dipping sticks! Gotta have the Pepperoni stuffed crust!!! The dipping sticks sound yummy! Rising Crust Supreme!!!! All the way. I love all of the DiGiorno pizza line-up especially the rising crust recipe. My line-up would be 1) Supreme, 2) Cheese, 3) Pepperoni and Sausage!!!!!!! Dipping Strips are always a win! Definitely the Rising Crust Supreme pizza! Yum!! Tough decision – but I’m getting one of the Pepperoni and Cinnamon Sticks, one of the Four Cheese and Cinnamon Sticks, one of the Pizza and Wyngz and one of the Pizza and Breadsticks. I keep it simple….pizza dipping sticks! i would get the pizza and bread sticks! I’d go for 2! love the cinnamon sticks!! Grandkids are all into pepperoni and cinnamon sticks……. Classic rising crust for me! Pepperoni & cookies, pepperoni & bread sticks, rising crust pepperoni, and 4 cheese pizza dipping strips…YUM! Something for every member of the family! Pizza dipping sticks sound good! The Four cheese dipping pizza! Yum! I would buy the pizza and cinnamon sticks. That way you don’t have to buy dessert. pepperoni is always a winner in my house….cinnamon sticks is just a bonus! I would go for the pizza and cinnamon sticks and the dipping sticks. Man they look so yummy. Then you can have pizza and dessert in one serving. I would go for the pizza and cinnamon sticks but my favorite is the pizza & wings!!! The pizza with cinnamon sticks! Love it! i would go for the pizza and cinnamon sticks!!! 4 meat pizza yummy and a bonus of cookies!! Supreme is the best way to GO!! It has all the toppings to suit everyone! Wow! Pizza dipping sticks sound sooo good right now. Don’t think I can wait for game day on those! Rookie of the year dipping strips! We are Supreme pizza eating folks here at the Payne house. Rising crust supreme pizza , please! 4 meat pizza …..would be awesome !!!!!!!!! How about a Supreme in both rising crust AND thin?? Pepperoni The kids all like the Pepperoni because they can’t have ‘weird’ stuff on their pizzas. We always include the kids with our parties. Wouldn’t be nearly as fun without them! three meat pizza dipping strips sound amazing! Pizza dipping sticks sound reallllllllllly good right now. My family loves the ones with the rising crust. I would try the pizza dipping strips. Cheese I LOVE Cheese! In the crust and all over the top. Ooey gooey Cheese! The pizza with the cinnamon sticks and the dipping pizza looks really good!!!! Can not wait to try it. Rising Crust! I love the ways DiGiorno tastes! Cheese stuffed crust – Yum! pizza dipping strips sound delicious!! I would try the Rising Crust. I would buy the Pepperoni rising crust! Go For Two…pizza and cinnamon sticks!! Yum! Rising Crust Supreme…Nothing is better! I would get the pizza dipping sticks! We always have at least 3 in our freezer! We think DiGiorno is the BEST! We tried so many other pizza brands before but no one can compete with DiGiorno! cheese stuffed crust my favorite. My kids love these pizzas! Never met one they didn’t like. All are great! Pepperoni pizza and Cinnamon Sticks. I didn’t even know they had that one!! YUM!!! I would definitely get the cheese stuffed crust!! I LOVE DiGiorno pizza!! I always get the one with wings my 12 year old loves them! And so do we! My winning line up would be the pepperoni pizza dipping strips. Love them! Pepperoni dipping sticks for us!!! Supreme rising crust gets my vote! I’ve never had the pizza dipping sticks before. I’d want to try those! I would go for the Supreme Rising Crust Pizza. Yum! A pepperoni rising crust is my fave. The Pizza Dipping Strips. My kids will love them. Digiorno Rising Crust is my fav!!! My family dips each piece ranch dressing…oh my …. what a great meal for mom to unwind with. I would love the supreme pizza w/ rising crust! I ‘m a pepperoni girl, for sure. Love my DiGiorno’s pizza nights! Peperoni rising crust most definately we all like this one. rising crust deluxe is our favorite! PIZZA AND CINNAMON STICKS FOR MY KIDDIES:) Love YOU DiGiorno’s!!! Risng crust…spinach, mushroom & garlic is my fave!!! Gotta go with the classic — pepperoni on rising crust. Would love the pizza and cinn. Bites! We love the rising crust with pepperoni. Supreme Rising Crust all the way! Pepperoni Pizza Dipping Sticks! Can’t have enough sauce! I love the self raising cheese pizza yummy……. Rising crust with pepperoni please! Pizza & Cinnamon Sticks keeps the kids and the adults happy! Go for Two-Pepperoni with Boneless Wings, Yum! pizza is a staple in our home! The cheese rising crust! Yum! How can I pick just one! :-) I would like to try the pepperoni that comes with cinnamon sticks. Wow, I’ve never seen that before but it sounds yummy! Love the Pizza and Wings, although the pizza with cinnamon bread looked really amazing, too! Definitely the Go For Two Pepperoni Pizza with Cinnamon Sticks! Def “The Little Pizzas that Play Big!” I love their cheese stuffed crust! We love pepperoni around here! Would get the one with the cinnamon sticks! Well, if I was just thinking of myself, it would be the Supreme Pizza, but as a mom, I think of what my kids would love first so the Pepperoni Pizza with the Cinnamon Sticks would definitely be the “Pick” for them! We’re Cheese or Pepperoni here. Friday night is usually pizza night with our homemade salad bar! I would definitely choose the Rising Crust Supreme Pizza and fill up with all those delicious toppings! peperoni with the cinnamon sticks! The dipping sticks pizza! Sounds good! 3 meat dipping sticks, but not just for the game! We love their pizza every Saturday night! I’ve never tried the dipping strips…….they look good! I’d go for the rising crust. I’m a traditional sort of girl. Pizza Dipping Strips !!! YUM, I’m hungry!!!! pepperoni cheese stuffed crust – yummy! The Supreme! To satisfy my men that are over for the game! Pepperoni pizza and nestle choc chip cookies!! Does life get any better than pizza and choc chips?! the rip and dip dipping sticks, yummy! Cheese stuffed crust for my daughter. Pizza and cinnamon bread, yummo! I’d love the Rookies of the Year Piza Dipping Strips Four Cheese! The rip and dip dipping sticks!! That just sounds really yummy! Pepperoni and bread sticks – yum!!! I LOVE stuff crust! Definitely the pepperoni stuffed crust!! I’d have to say pepperoni pizza with breadsticks…thats our traditional choice :) gotta love it…I’d actually love some right about now!! Cheese Stuffed Crust Pepperoni Pizza,…. :):) YUM!!!! cheese stuffed crust sounds good! I work for a pizza place as a delivery driver and we are super busy on Super Bowl Sunday! Go get your DiGiorno and help me to have a not so hectic night! I would totally get the cheese stuffed crust! So yummy! I love the rising crust pizzas! They’re my favorites! Pepperoni pizza and cinnamon sticks……yum! The rising crust, 3-meat pizza is a big hit in our house! Rising Crust. Love the four cheese. I love all stuffed crust! Pizza Dipping Strips! Makes variety and handling convenient for my husband and his hungry friends! the pizza with the cinnamon sticks, dinner and dessert in one, oh yeah! pizza and bread sticks, cheese stuffed crust, and four cheese pizza dipping strips! stuffed crust all the way!!!! The pepperoni and cinnamon bread for certain! My daughter’s favorite is the pizza with the cinnamon sticks. Great anytime. Rising Crust. Definitely Rising Crust. gotta have wings with my pizza. stuffed crust!! well really any of them! Pizza Dipping Strips would be so easy! Pepperoni and Cinnamon sticks- yum! The day I get picky about pizza, just put me in the oven with it! But cheese stuffed crust sounds pretty good right now! supreme rising crust…my all time favorite! pizza and cinnamon sticks, of course! Meal and dessert all in one box! Yea! Cheese Stuffed Crust is the only way to go for Super Bowl! I love all of it. Pizza Yum!!! Go for 2 pizza and cinnamon sticks. I’d like to try out the pepperoni pizza dipping sticks. Pizza with Cinnamon bread! Entree and dessert in one! What a great idea! rising crust, but I love all DiGiorna pizza !!!!!!!!!!!!!!!!!!!!!!!!!!! We usually buy the rising crust with cheese, but the dipping sticks look good also. I used to deliver pizzas. Super bowl Sunday was a 4 hour wait! we had something like 150 orders come through at the same time. Cheese stuffed pizza!! My husband and I love it!!!! The pizza dipping strips look yummo!!! The pizza with the cinnamon sticks look yummy! Cheese stuffed Crust. I loved when Pizza Hut sold these. Ooohhh…cheese stuffed crust looks yummo! 4Cheese all the way…It makes everyone happy! The Supreme Pizza. Why settle for anything less?!?! Like the cheese stuffed crust the most along with the supreme…ummmm good. My kids love pizza and breadstick. I’m going with the dipping sticks! The rising crust is a cut above. Rising crust to be sure! We love Digiorno !! We love them all ! Rising Crust. We LOVE Digiorno! The Dipping Sticks look good! I would definitely go for the Go for Two from the winning line up, pizza & dessert? Sign me up! The rising crust looks awesome!!! My husband’s a meat lover so, I’d have to go with the Rising Crust Supreme! I would try one of each. Four in my family one each for everyone. Pizza Dipping Strips – Yummy! Three Meat , So good!!!!!!! Stuffed Crust can’t be beat!! We love the pizza and breadsticks! Love Digiorno around here!!! I love the garlic cheese pizza, the rising crust pepperoni, and the cheese pizza with the cinnamon sticks! Yum, I’m hungry just thinking about them! It has to be the oh, mighty supreme rising crust pizza. Nothing better than that! Love DiGiorno! I will take be taking two pepperoni pizzas and put one on top of the other. Easiest, and tastiest calzone!! I really like their pepperoni pizza and breadsticks. Not greasy like delivery pizza so I don’t have to reach for the Tums later. We like the pepperoni one……..we like it better than delivery ones! Supreme!! I just bought 3 of them!! Cheese stuffed crust is a winner!! We usually get the supreme, but we have one in the family that just wants cheese. Cheese is good, too! Pizza dipping strips! That’s the way, uh hunh uh hunh we like it! Love …Love …..Love….Digiorno Pizza and cinnomon sticks…..Kids eat them fast!!! I definitely will pick the Go for Two. Never tried it yet. I heart the cheese stuffed crust!!!! All Time Great Supreme Rising Crust is my favorite! We love the 3 meat cheese stuffed crust and the spicy chicken supreme rising crust. Awesome! Pizza & Cinnamon Buns! Yummy! I think I’ll go for the “Rookies of the Year” Pizza Dipping Strips! They look yummy, and I haven’t tried those before! I would love to try the pizza and cinnamon sticks combo! Yummy! I would go with the rising crust pizza! I would choose and all time great. I would like the pepperoni dipping sticks! I love sausage and pepperoni with breadsticks. All Time Great—rising crust pizza. Three meat pizza dipping strips, YUM! Gotta get a plain cheese for the kids, and cinnamon stick too?! Pizza and Cinnamon Sticks for me, please! I think I would have to go with pizza and cinnamon sticks combo. Dinner and Dessert in one box makes it super easy to feed a crowd and still enjoy the game myself! I’d go with the All Time Greats- The Rising Crust Supreme pizza! Stuffed Crust, Stuffed Crust, Stuffed Crust….Love it! 3 meat stuffed crust is delicious! Pizza and cinnamon sticks! I absolutely love anything cinnamon! Can we only choose one? :) I would have to pick pizza and cinnamon sticks. I would like to try the Pizza Dipping Strips. I would buy the Cheese Stuffed Crust. YUMMY!!!! Rising crust Supreme Pizza! Thanks for the chance to win! Cheese stuffed crust for my 16 yr. old! I would “GO FOR TWO! !” Digiorno pizza and bread sticks!! It’s a winner!! Rising crust pepperoni, although we’d get 3 of them in my house, to feed all the teenagers…BETTER than delivery! Definitely the cheese stuffed crust Digiorno!! the cheese stuffed crust Digiorno! I would Go For Two!!! The one with dessert included, of course! Pizza and the cinnamon sticks would be the BEST! I buy the supreme rising crust all the time, so it is a definite. But I didn’t know they made the dipping strips, so I would have to try those. The cheese stuffed crust pizza looks the best. I choose would choose that one. Pizza Dipping Strips – Three Meat looks yummy! Rookies of the Year would be my choice. Wonderful finger food! My kids love the cheese stuffed crust…and my husband too!! Supreme at least there are some veggies!!! Pizza and cinnamon for me . . . enjoying trying new items with couponing. Rising Crust Supreme pizza, for sure!! Digiorno’s Rising Crust Supreme, for the man who loves everything, including his veggies!!! YUMMO! I would love to try the cheese stuffed crust pizza. I would get 2 Pepperoni Pizza with Cinnamon sticks and 2 Pepperoni Pizzas with regular bread sticks! I would get the Pizza Dipping Strips! My husband loves the rising crust pizzas. He’ll eat a whole one in two sittings! I would try the pizza and cinnamon sticks! I tried the rising crust this week for the first time and loved it! That was my first digiorno pizza. I work at a pizza place, so I won’t get superbowl Sunday off to try them, but I’m looking forward to having one later! pepperoni and cheese, half and half! Rising Crust Pepperoni Pizza is the best! I would pick the 4 cheese pizza dipping strips since my boys love cheese pizza.This will make a great finger food for superbowl Sunday. I would really like the pepperoni pizza with cookies! Putting the cookies in there was a really good idea. My favorite pizza is the supreme. So many toppings and delicious!! The supreme pizza! It has everything! We are a huge fan of the Supreme Rising Crust pizza, so that would have to be the one we got! Love DiGiorno pizza… haven’t tried the dipping strips, but I think my family would LOVE them… might have to try those on Super Bowl Sunday! I would definitely say the Pepperoni Pizza Dipping Strips. They are the best and definitely fit for a party because they’re a little bit more fun than standard pizza and they are delicious! Thanks DiGiorno! The pepperoni dipping pizza sounds awesome….I pick them!!!! pizza and cinnamon sticks!!! Y.U.M. pizza and cinnamon sticks here to! The pizza dippings sound great! Pizza and breadsticks are the ones I would try. Definitely the Pizza and Cinnamon sticks. When you eat not only do you want a great tasty pizza but IMMEDIATELY you want something sweet – so it’s 2 fer. AND as a southern saver I’m ALWAYS up for a 2 fer and a great deal. Thanks Digiorno will buy! I would do cheese pizza with cookies for the kids, supreme with chicken wings for the guys and a meat pizza with breadsticks for us girls! I love their rising crust pizzas, so I would buy some of those. I would buy the pizza that comes with the cinnamon sticks…it’s dinner and dessert all in one! Yummy! I’d definitely want the pizza and dipping sauces. mMMmmmmm. I would do Pepperoni with Cinnamon bread. I love the Salt and Sweet combo. Nothing like it for game day!!! pizza and cinnamon bread are my kids favorite. Pizza with cinnamon sticks! Yum! We love their rising crust pizzas. My family and I love the pizza and cinnamin sticks!!! I’d buy the Rising Crust Supreme Pizza. I’d get the pizza dipping strips. I would love to try the pizza dipping sticks!!! Pizza and cinnamon sticks for sure! Cheese stuffed crust is the best! I have already picked up 6 pizzas for the big game!!! Used a great coupon I found in FL 3.00 off 2….My picks are Go For TWO pizza with bread sticks and my all time favorite Rookies of the Year pizza dippers with 2 dipping sauces…the garlic dip is out of this world…love it, love it, love it..You gotta try it…Have a great DiGiorno VS take out Game Day…I know I will, no wait and no tip! I would buy the pizza dipping strips, they look good! i would love pizza with cinnamon sticks!!! sounds delicious! Small Cheese Stuffed Crust Pepperoni Pizza! Pizza and Cinnamon Sticks. Sounds yummy! Cheese stuffed crust pizza! Love it! Pizza dippers with sauce sounds yummy! I would get one of each to please all my friends at the super bowl party. Rising crust supreme for my husband and cheese stuffed for Katie. Pizza dipping for me and Wendy. We can get pizza with cinnamon for the rest and have dessert. Thanks to walmart I can get soda to go with! No tip and I get another excuse to go shopping at walmart! I would get one of each to try them all! Pizza and Cinnamon Sticks, great combo. Definately the pizza with the cinnamon sticks! Yummy!!!! Pizza with cinnamon sticks, yummers! Pizza Dipping Sticks. My kids love anything they can dip and it makes pizza in to more of a finger food. Perfect for going along with the other goodies I love to make for the big game. yumm! I would get the ones with the dipping sticks, wings & cinnamon sticks! Cheese stuffed crust all the way! Rookie of the year Pizza dipping strips. I”m a Rookie to couponing so it fits well. Gooooooooooooooo Giants!!! Are you kidding me pizza and cinnamon sticks its like HEAVEN!! Pizza Dipping Strips for sure! That sounds really good!!! The pizza and cinnamon sticks is making my mouth water! Definitely the Supreme, but I would probably try them all, especially the pizza dipping sticks. The Rising Crust Supreme looks pretty good. The pizza dipping sticks look amazing! Will have to try them out on the kiddos! Definitely pepperoni with cinnamon sticks! Can’t beat the classics! Pizza with the cinnamon sticks…definitely! Cheese stuffed crust!! Love it!! You get more for your money and I always love more cheese! The rising crust supreme is awesome! I would get the 4 cheese pizza and cinnamon sticks. They sound super yummy! Pizza and cinnamon sticks would be what I would select. 4 cheese pizza and cinammon sticks! Savory and sweet! YUM! Cheese stuffed crust for sure! Pizza and breadsticks is a great idea for a party crowd! I would get pepperoni pizza with cinnamon sticks, four cheese pizza dipping strips, supreme pizza, and supreme pizza with honey BBQ wyngz. Tough choice, but I’d go with cheese stuffed crust! We love the Rising Crust Pizzas here – four cheese for the kids and supreme for the adults. GO GIANTS! I’d choose the Three Meat – Pizza Dipping Strips. They look good! It would have to be a pepperoni pizza with cinnamon sticks! Gotta get the sweet. definitely the pepperoni pizza and cinnamon sticks!!! Rising crust supreme for me! YUM!!! I love the pizza with cinnamin sticks!! Yum,,,,,the pizza and chocolate chip cookies!!! pizza and wyngz– no doubt!! we eat them at least once a week, sometimes more!! Four cheese pizza dipping strips for sure. Heaven!!!! I love the pizza and cookies combo kit dinner and dessert in one! we love the pepperoni and the spicy buffalo wings!! We would get the pizza and wyngz! Definitely the pizza and cookies combo kit! Yum! This would be the All Meat pizza with wings! I’m all for the Supreme! And some Buffalo Wings. Thank you. Rising crust Supreme is what our family and friends enjoy!! We always buy that kind! Pizza and cinnamon sticks. YUM!!! Pizza Dipping Strips For Sure!!! Savory and sweet… Pizza and cinnamon sticks. Yum! We’ll be trying the Pizza Dipping Strips! I hate the long delivery waits on Superbowl Sunday so Digiorno will be perfect. Cheese stuffed Crust for me and my guy :) We love a good Digiorno night in! All about the cheese stuffed crust for me and my boys! I would pick an All Time Great…probably meat lovers. We would get the cheese stuffed crust for sure! My family has to stick with the ALL TIME GREATS…Supreme ALL the way baby!! Pepperoni Pizza is always a must in our household. Yummy!! The stuffed crust sounds good to me! Stuffed crust would be awesome! The pepperoni and supreme pizza’s are great too. Pizza and cinnamon sticks, our favorite! I would buy the one with the cinnamon sticks for sure! pizza and cinnamon sticks combo! Thin Crust Pepperoni is a weekly favorite in our home!!! The pizza dipping strips look like great finger food!! GiGiorno’s Rising Crust Supreme is the winner at our house! Stuffed Crust is always a party! We love the stuffed crust! We love them all!!!! The new pizza dipping sticks look great! Can’t wait to try them! I would go for the good old classic rising crust…yyyyuuuummm! I would definitely get half and half pepperoni and cheese. And/or the half and half pizza and bread sticks! Will be getting pepperoni and cinnamon sticks!! YUM!! I’d go for the pepperoni Pizza Dipping Strips. I haven’t seen that one in the store yet, but I’m going to try it when I do! Dipping Strips for sure! Game Time! supreme pizza w/ rising crust! We all love the Rising Crust Supreme (have it EVERY Sunday) after church! Pizza dipping strips all the way! That sounds super yummy! I’m eager to try the cheese dipping strips! I would do Pizza and Cinnamon sticks. I love those!!!!! I would purchase a minimum of two Supreme pizzas for the day. Definitely the rising crust supreme pizza! Pizza and Cinnamon sticks, who can beat dinner and dessert at the same time! Well….Pizza and Cinnamon sticks OF COURSE. Sweet and Salty? Yes please. Pizza and the Cinnamon Sticks! Pizza and dessert how much better can it get, oh seeing your team win the Superbowl of course……..
Pizza and cinnamon sticks can’t wait to try it !!!!!!! Pizza for 1st half of game and cinnamon sticks for 2nd half! I’d choose the Rising Crust Supreme. The supreme pizza. It’s so good. I love DiGiorno. The Rising Crust or the Pizza & Cinnamon sticks… yummy! I bought the rising crust with cinnamon stix and the three meat dipping strips! Mmm the one with cinnamon sticks! Wow! My son and I love your pizza and we are always shopping in walmart!